Third Thursdays from 3:45 - 5:30 p.m.
Students from grades 6th - 12th grade are welcome. It's ALWAYS FREE and SNACKS are provided! 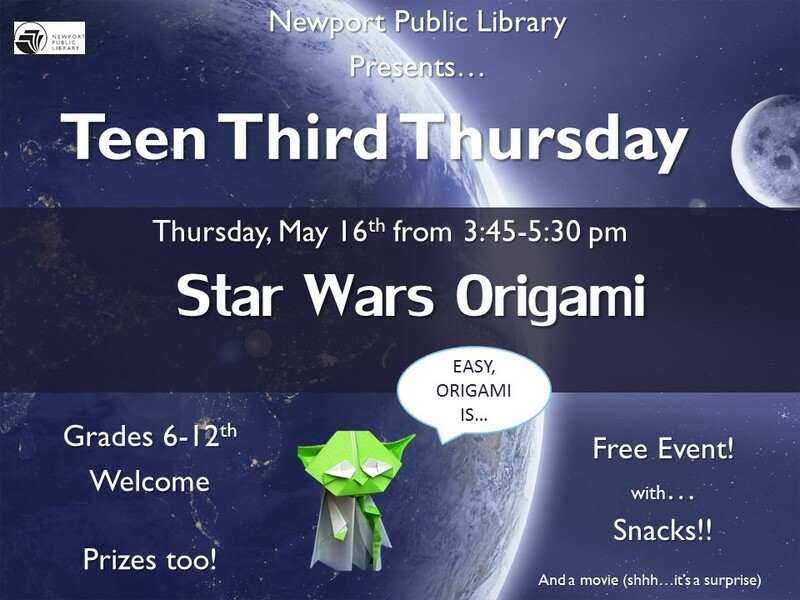 May 16 - Star Wars Origami and More!